Do you remember the last time Sebastian Vettel was headed in an F1 race? You'd be forgiven for struggling. It was over a month and fully three-and-a-half races ago, at the Singapore Grand Prix when Lewis Hamilton led in the early laps before his gearbox went pop. Indeed, it's reaching the point that not only is it hard to remember anyone else leading a race, it's hard to imagine anyone else leading one. Vettel won the Indian Grand Prix as he liked today, and it was simply a continuation of what's looking in recent weeks more and more like Seb's and Red Bull's inexorable march to 2012 title honours. He led off the line, put clear air between him and the car behind in no time, and the result of Seb's victory was pretty much set from then on. It's the sort of performance that's long since been his party piece. That's now four wins for Seb in a row, and in the most recent three he's led every lap even in this age of the pitstop. The last guy to do that in any age was one Ayrton Senna in 1989. Yet while Red Bull is a team that often gives the impression of having everything, there is one thing it doesn't have. There was another big story of the Indian Grand Prix along with Seb's victory; the other tale was that of the magnificent Fernando Alonso. 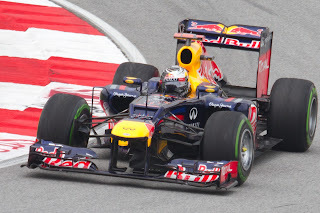 He didn't win the race, Seb's dominance plus the limitations of the F2012 ensured that. But what he did was mighty, ensuring that Seb's points gain was minimised by clearing both McLarens as well as Mark Webber's Red Bull on race day, thus coming home second. He even managed to keep Seb honest by chipping away at his lead late on. 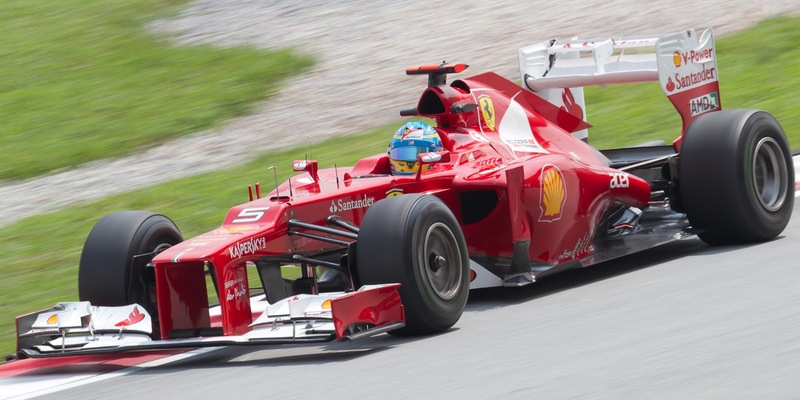 Alonso may or may not win the drivers' championship in 2012, but his performances this year are surely ensuring his place among the sport's all-time greats. Some things matter more than championships. And while as things stand it's very difficult to see how Vettel and Red Bull can be stopped in their championship run Alonso is at the very least making them work as hard as possible for it, ensuring that they cannot afford major setbacks as well as, as he's been doing all season, buying Ferrari plenty of time to get it right technically. And the drivers' championship race was almost officially reduced to one for two players today. Third-place occupant in the table Kimi Raikkonen again didn't have the wheels to do better than finish in the latter half of the top ten, and is now 67 points adrift of the top with 75 available. Lewis Hamilton now must win everywhere to claim the title, but even then Seb must score zero in the remaining three rounds. Ain't gonna happen. And it has to be said that at the Buddh circuit today it wasn't the most diverting race ever seen, and was especially stark by the helter-skelter standards of 2012. Just as last year the smooth Buddh track resulted in low tyre degradation, and also just as last year Pirelli's tyre allocation was conservative, bringing the softs and hards (what was it Albert Einstein said about doing the same thing and expecting different results? ), thus the pace variation we've got used to from degrading tyres didn't really happen. We even had a bit of a blast from the past, with one-stop strategies for pretty much everyone. But as we reach the conclusion of the helter-skelter 2012 we're now getting something resembling clarity all round. The remaining three rounds will be a tête-à-tête for the title between Vettel and Alonso. 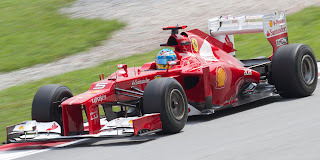 Vettel appears to be at the top of his game, as is his set of wheels, but Alonso is doing his formidable best to ensure that Seb and his team cannot afford even the most minor of fumbles. Make sure you're not far away from a television in the coming weekends, the scrap should be a good 'un. Nice post which shared a great knowledge about Pirelli Tyres India and is really appreciable. Need more blogs like this.